10" is the measurement from end to end. It is made of steel and is zinc coated. You can spray paint over the zinc. Hangers are bolted to the frame (bolts not included). 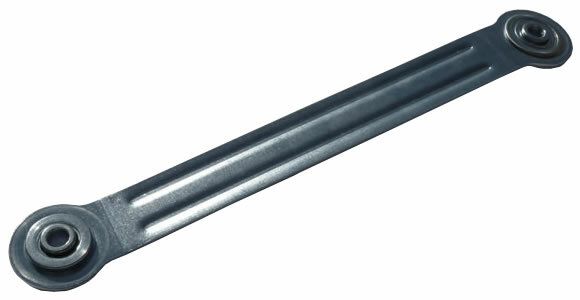 Bolt lengths and diameters would depend on original part sizes. Re-use or try to match the original bolts. We suggest stainless steel with locknuts.